Read this book review of The New Buffettology to see if it’s right for you! And I actually picked up this Warren Buffett book after reading another book by the authors, Warren Buffett and the Interpretation of Financial Statements. So was The New Buffettology worth the purchase price? Well, you’ve certainly come to the right place to find out. 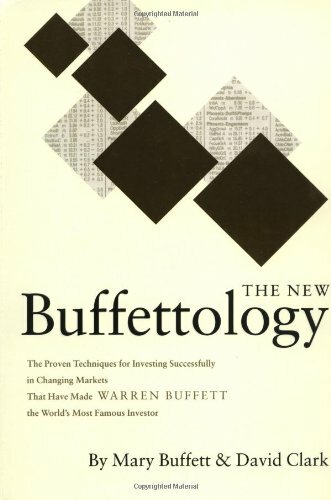 In this blog post I’ll review The New Buffettology so that you can get an in-depth look at what this book is all about, and whether or not it’s the right Warren Buffett book for you. So let’s get into it, shall we? What’s The New Buffettology All About? The New Buffettology is the third book by Mary Buffett and David Clark. It’s an update to their best-selling Buffettology. So what makes this version new? The New Buffettology is all about understanding how Warren Buffet makes his investing and capital allocation decisions. And in this regard, this book doesn’t disappoint. It does a good job of walking through the thought process Buffett applies when evaluating potential investing opportunities. The New Buffettology explains some of the most important characteristics that a business has to have to be a worthwhile investment to Buffett. From there, it shows some of the key operating highlights and financial items that Buffett pays particular attention to. And not only does the book review these items, it actually explains why they’re important and when there are exceptions. This kind of in-depth examination will be of much value to the up-and-coming value investors who are reading this book review. From there, The New Buffettology goes on to discuss when and why Warren buys particular stocks. It highlights how he finds buying opportunities amidst stock market panics, corrections and industry recessions. By the time you’re done reading this book, you should have a good idea of how you too can take advantage of stock market opportunities that come around when the bears get control of the tape. The New Buffettology also then shows a number of case studies. It’s particularly interesting to learn which investments Buffett pursued, and why he made them. The book does a great job digging deep into some of these investments. And while the book contains some of the case studies from the original Buffettology, since it was published many years later it’s neat to see how those original prediction panned out. But that’s not even the best part of The New Buffettology. One thing The New Buffettology does well is help you learn to apply the lessons of Warren Buffett for yourself. Specifically, the last chapter of this book is basically a worksheet that you can use to help you evaluate your investment ideas. By putting your stock picks and investment ideas through this checklist, you can see for yourself if they are Buffett-worthy investments. Pretty cool, right? Of course, the worksheet isn’t perfect. And you’ll want to do more due diligence of your own. But if you’re just getting started out with value investing this is a great place to get going. It’s easy to understand and entirely actionable. What’s not to love? The New Buffettology is a great book. And it’s an interesting look at the thought-processes and school of thought that helps guide Warren Buffett in his capital allocation decision-making. But at times, the book is a little bit too vague. There are some chapters that discuss Buffett’s approach in relatively broad strokes. And while there are pockets of insight and value, you need to read between the lines a little bit to really extract the applicable value-added insights. On the other hand, Warren Buffett and the Interpretation of Financial Statements (by the same authors) is much more actionable. In contrast, I’m having a little more trouble applying the knowledge from The New Buffettology. But it’s still ripe with learning opportunities, especially if you haven’t read too much about Warren Buffett before. I really enjoyed reading The New Buffettology. It’s always great to learn investing lessons from the legends. And there’s no better legend than Warren Buffett, right? For that reason, and because of the worksheet in the final chapter, I encourage you to buy The New Buffettology on Amazon so you can soak up this wisdom for yourself. But if you’re still looking for a little more information, check out the video book review. It’ll give you even more information on The New Buffettology and whether or not it’s the right value investing book for you. This entry was posted in Stock Ideas and tagged Buffettology, warren buffett on August 21, 2014 by Jworthy.